Looking south along the street to the east of the Great Bath. 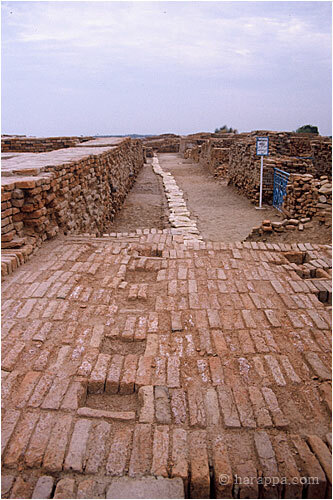 In the foreground is a unique brick platform with hollow sockets used to place upright beams that may have formed a gate or traffic control device. A large street drain covered with limestone blocks runs the length of the street.